The leopard can be found in all of sub-Saharan Africa and west of the Kalahari Desert, and it is also found in the Middle East (Iran, Pakistan) and Asia (China, India, Indonesia, and Nepal). Since the leopard has such a wide range, there are probably over 30 subspecies of leopard. The size and weight of an adult leopard varies according to subspecies. 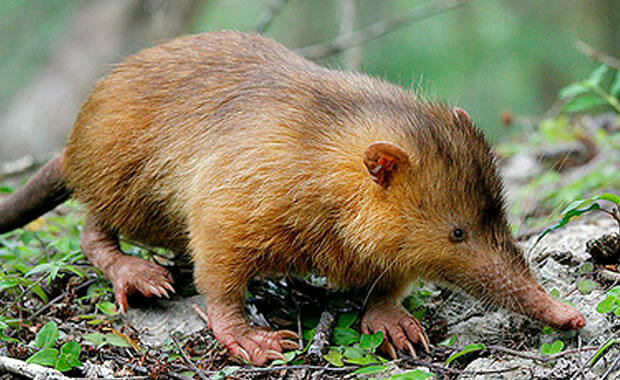 The adult body length ranges from 3.4 feet to 6.6 feet and its body weight ranges from 65 to 155 lb. Females are generally smaller than males. Leopard coat colors also vary according to subspecies from light brown to a deep rusty yellow. All leopard coats are covered with rosettes and have lighter underparts. Some leopards can also have full black-colored coats, still containing rosettes that are dark brown and black in color. The leopard is very adaptable and can be found in almost any habitat in its range, from rain forests to excessively dry deserts. Most of their time is spent in the trees to avoid other carnivorous mammals in the area such as lions and hyenas. The leopard also prefers to stalk its prey from the trees. Leopards eat monkeys, rodents, reptiles, amphibians, birds, fish, wild pigs, and gazelles. They are opportunistic hunters and will eat just about anything that is available. After stalking and killing its prey, the leopard drags it up into the tree to prevent other predators from stealing the kill. Except when breeding, leopards prefer a solitary and secretive life and they are active mostly at night. Breeding can occur year round and females give birth to two to three cubs after a 3-month gestation period. Females may only give birth to cubs once every two years. Leopard hunting for its fur was once very popular causing a significant decline in the 1960s and 70s. Today threats to the species include trapping and poisoning by farmers who consider the leopard a nuisance to their livestock, habitat loss, commercial hunting, and decline in prey populations. Although listed and protected, the leopard is actually doing well in the wild with the latest population estimated at over 500,000 worldwide. For more subspecies information, visit Wikipedia - Leopard. Copyright Notice: This article is licensed under the GNU Free Documentation License. It uses material from the Wikipedia article "Leopard". Glenn, C. R. 2006. 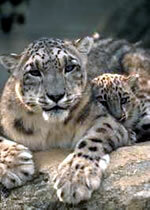 "Earth's Endangered Creatures - Leopard Facts" (Online). Accessed 4/23/2019 at http://earthsendangered.com/profile.asp?sp=235&ID=1.